Our patients tell their stories! I coughed for years, not knowing why. Going to Dr. Cayer’s I realized that it’s because I’m allergic to mold!!! He gave me a herbal forumla and Aucupressure treatments & I didn’t cough anymore!!! It was amazing! I had coughed for years!!! Dr. Cayer is always available to help. He is very kind and always makes me feel so much better. 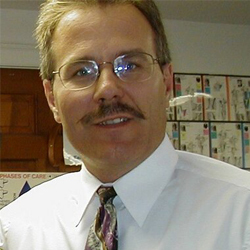 His knowledge of chiropractic health and nutrition are unsurpassed. I couldn’t be more pleased, unless you had the big laser. But now I am hopeful the new one will work. I wish I could get my strength back. But you are one of the best healthcare doctors I have ever known. Dr. Cayer is one who keeps his appointments, rarely a few minutes wait. Treatments for me have been successful, but more than that, I have learned so much about the connective way our body systems work. He also suggests helpful related readings and resources. Dr. Cayer you are the best. You have helped me through some very painful times! Thanks for everything. Dr. Cayer always makes my back problems better in a minimum of visits. Very good care. Friendly, state of the art, good feeling, flexible schedule. Cayer Chiropractic is very professional, forward thinking, caring, doing more than they have to which makes my wife and myself feel very confident when we go to use Dr. Cayer’s services. If I ever leave this state I’m taking Dr. Cayer with me!!!! I had Lyme disease and was struggling with the symptoms of tiredness and pain in the joints. As I have a physical job working in a fitness center with mentally and physically challenged individuals. I was having very hard days. It had been going on for a year. Dr. Cayer's care and supplement reommendations helped me to feel well enough to do my job and live my life. He also gave me psychological support to be able to deal with my doctor in getting the antibiotics I needed. He helped my body heal from carpel tunnel, tendonitis, rotator cuff problems and heel spurs. I am healthier than I ever was as I am now faithfully watering and nourishing the garden. Dr. Cayer treats you as a very valuable peron understanding that health is so very important for a good life. He helps your body work the way God meant it to work by guiding you with mind, body & soul counseling. I had upper and lower back pain and had been exposed to mold and mycotoxins and had been in all sorts of joint and achiness pain. My condition was poor with lots of systematic inflammation. Dr. Cayer's approach gave me not only relief but hope. He is a skilled chiropractor with a gentle approach (sort of like a quiet powerful giant). I am one thousand times better with his care, patience, support and guidance. "Before I started my chiropractic visits, I literally had a headache EVERYDAY! Even though I have been under care for only one month, I hardly ever get a headache! I have less back pain getting out of bed in the morning. I am an aerobic instructor and every class I would teach, my back would begin to hurt 15 minutes into a class. Now, I only have very mild back discomfort during exercise. "Chiropractic care has helped my son Logan with his sinus congestion. He no longer uses Claritin!" "I use to have severe back pain also pain in my neck and down my shoulders and there was always a tightness in my neck. Since the past two weeks, I have been seeing Dr. Cayer 3 times per week and I am now able to sleep, which I never use to. I perform better on my job and I don't ache as much as I used to. I am thankful for chiropractic treatment as I don't have to pop pills and I am feeling better already. "Since I have been receiving chiropractic care, I have experienced a total body change. I am able to sit at my computer and work a full day without the pain in my shoulders and neck. My energy level has increased and I don't feel sluggish and tired at the end of the day. I am now walking 4 miles, 3 times per week. For the first time in many years, I do not have severe back pain during my monthly period. What a release! My sleeping at night is more relaxing and I wake up feeling refreshed and ready for another day. Chiropractic care has changed my life in a very positive way. Thanks Dr. Cayer for a life changing experience." "Since I started chiropractic care I have noticed a great change in my lower back and stomach. I have not had any severe stomach or digestive problems since I started. I have also noticed a great improvement in my sleep patterns and ability to sleep soundly. For the first time, I can turn my head to see the blind spot in my car when I am driving. My 5 year old son, Crawford, has been coming with me and he loves chiropractic." "My migraine headaches which have plagued me for life have almost completely disappeared and the few that I have had are much less severe. Nothing that I tried in the past would relieve me of my headache (including Vicadin) except for sleeping. I truly believe in my chiropractor." "After my first treatment I could not believe the flexibility in my neck. Each additional adjustment has given me more mobility in my neck and back. I look forward to each adjustment and the benefits of long term care." "Before starting chiropractic care, my headaches were so severe that I would get nausea, miss work occasionally, have to turn the lights off, pull over if I was driving and have to literally stop what I was doing no matter where I was to lay down. I was taking 6 pills per day! Since receiving chiropractic care, I have only taken 2 pills during a 2 -week period. It's good to have my life back again!" "I initially consulted Dr. Cayer for my low back pain. Not only did chiropractic help it significantly, my asthma has decreased in severity. Now I am able to breathe easier! What a wonderful side effect. "Aches, pains and stiffness that I thought were things I'd just have to adjust to- so much that I didn't notice them anymore-are gone! The sudden and unexpected absence of pain makes me aware of how ever-present it used to be. I've even noticed that my sinuses are better! I feel much better now!" "I can finally sleep through the night. My daily aches and pains are significantly reduced. My daily headaches have vanished. I feel taller and just healthier in general. I am grateful that chiropractic care could help save my quality of life." "I have only been receiving care for a little time but already feel different. My neck and shoulders feels less tight. I look forward to coming for my adjustments because each time I go home feeling better. I really believe that when I complete my corrective care program I will be a new person with no aches and pains." "I sleep better at night since I started getting adjusted by Dr. Cayer. After an adjustment, my headaches immediately disappear. My back doesn't hurt as much anymore. It's such a relief to know that I don't have to worry about taking Advil for back pain anymore." "I no longer wake up with terrible low back pain as it would prohibit me from getting out of bed that day." season, everyone in my house is sick with the flu. However, I am so excited that I have NOT gotten the flu since being under chiropractic care. My immune system is much stronger since receiving adjustments. What an added benefit to chiropractic care." "My headaches have almost completely disappeared and if I have one, it's only very slight and for a much shorter period of time. To my surprise, chiropractic care gives me a feeling of wavelike energy through my body and I can feel each adjustment enhance my overall health and wellness. I am really enjoying my treatments." "My headaches have decreased in frequency and I have much better mobility of my neck. The adjustments that I receive by Dr. Cayer are superior than my previous chiropractor." "Chiropractic care has made such a difference in my life. It's really helped my sinuses as I can breathe better, I am more alert and have more energy, it has improved my memory and my body is better able to respond to and handle stress." from medical therapy to physical therapy. Nothing was working and after 16 months of searching, I was sure nothing could relieve my pain. Thanks to Dr. Cayer and his chiropractic expertise, I'm no longer in pain and feel wonderful-Thanks so much!" "I feel more energized in the mornings. My mood is better on a daily basis. I am experiencing less stiffness in my neck and shoulder and less abdominal pain during menstrual cycle. My daughter Bianca agrees that it makes her feel better and her epilepsy has decreased in frequency and severity." "After 6 weeks of chiropractic treatment there is noticably less pain in my back and neck and no longer a need for pain killers or muscle relaxants. "The tension in my neck and shoulder area has been reduced by more than 75%! My headaches have been reduced by more than 50%! Down with Subluxation and up with feeling great!" "I was involved in an automobile accident and suffered whiplash which left my neck and upper back area tender and sore. This also caused side effects such as nausea. In little over a month of chiropractic care, my neck and shoulders have improved immensely. The tender feeling and soreness are almost completely gone. I no longer feel any side effects, and overall, I actually feel well. No more stress headaches and the like. "I'm amazed that since I've been seeing the Dr. for my headaches are almost completely gone. The afternoons are now bearable. The best part is that my irritability and anxiousness from PMS have subsided also. I'm a happier person!" "Major relief of lower back pain. I have increased flexibilty and am able to walk with no pain. Thanks." "Over the past two months I have noticed a decrease in neck and back pain along with more mobility and increased activity. I can now mow and hedge the lawn without pain and without having to cease the activity."